This is Leo. 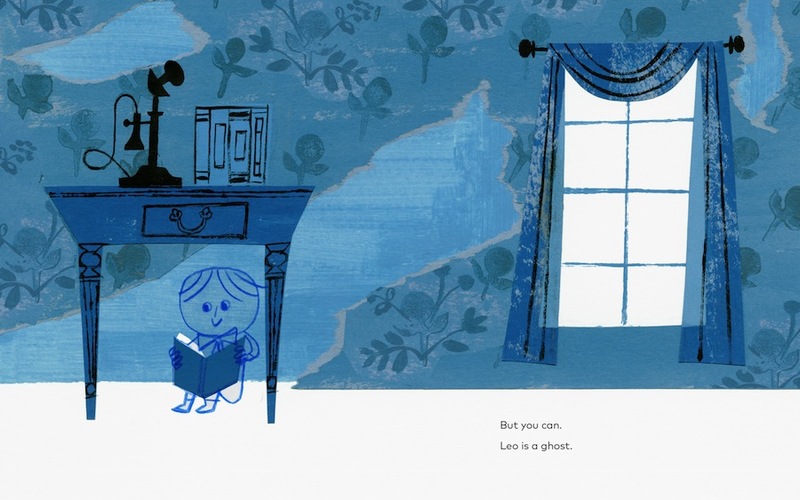 He is a ghost, and he is the bow-tied-beau of this story. It’s a ghost story, but it’s a friendship story. A brave story and a bittersweet story. The opening of this book is a show stopper. Or perhaps a show-starter? 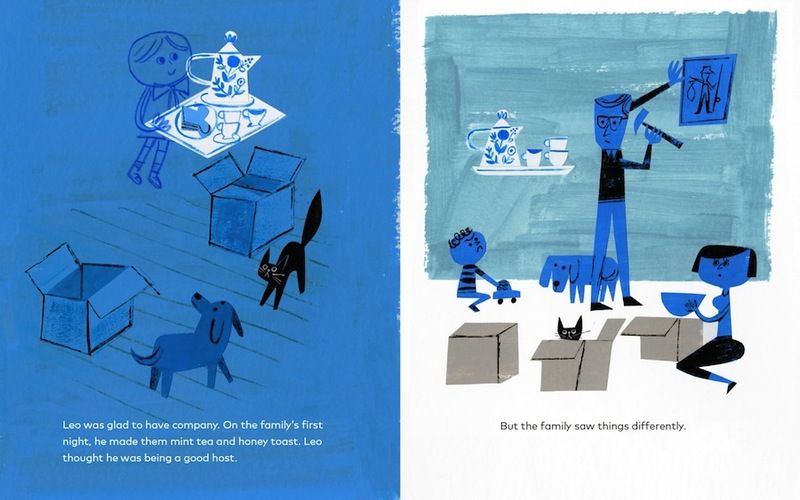 Because I’m not sure I’ve ever seen a book that opens with nearly identical spreads like this one. 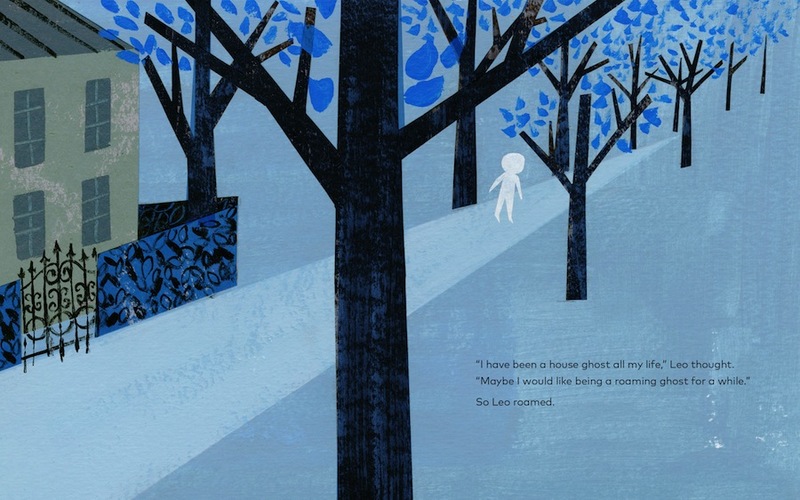 So few moments exist in a picture book, so for this one to resonate across a page turn is palpable in its tension. It also honors its reader here. That you is an invitation to Leo’s world, an acknowledgement that you know the secret handshake and you’re okay. 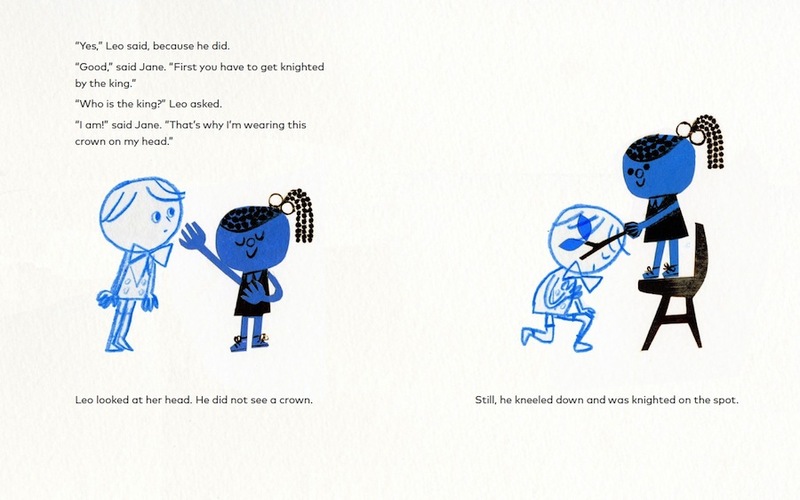 When I listened to Mac Barnett in conversation with Matthew on the podcast, Mac said an unexpected thing that happened when he read this with kids is that on the first spread, where Leo isn’t, kids holler out that they do! They do see him! The page turn is a nod to the grownups in the room, to the ones who can’t quite believe in a ghost. But to a kid? There’s no question. He’s sitting under that table, whether Christian Robinson has physically put him on the page or not. Leo’s been alone for a while—a long while perhaps if we study his attire and that telephone on his side table and the rocking chair in his bedroom. So when a new family moves in, Leo breaks out the welcome he’s been storing up for a while. Notice how he’s transparent? Only outlines? That contrasts the family’s physicality, as well as the dog and the cat. But those animals are looking right at him. Can they see him? Do they only see the floating tray? I’ve had these conversations with kids and it’s wonderful to chat about their reactions and reasoning and hopes for Leo. Try it! But of course, even a delicious spread of mint tea and honey toast might be a little bit frightening when the host is invisible. And the family was scared and desperate and a little bit hateful, so Leo hits the road as a roaming ghost. What I love about that is how Leo gave up his home and everything he loved so that this family would be comfortable in his own house. He’s a friendly chap and a considerate gentleman but, alas, a lonely ghost. But then there is Jane. Jane who sees him. Jane who asks Leo to play Knights of the Round Table. Jane who is solid and not made of outlines. Jane who is real. The chalk drawings on this spread reveal a lot about who she is and what she loves: kitties, dragons, and castles. These drawings show up again on the endpapers, framing a story of adventure and friends. 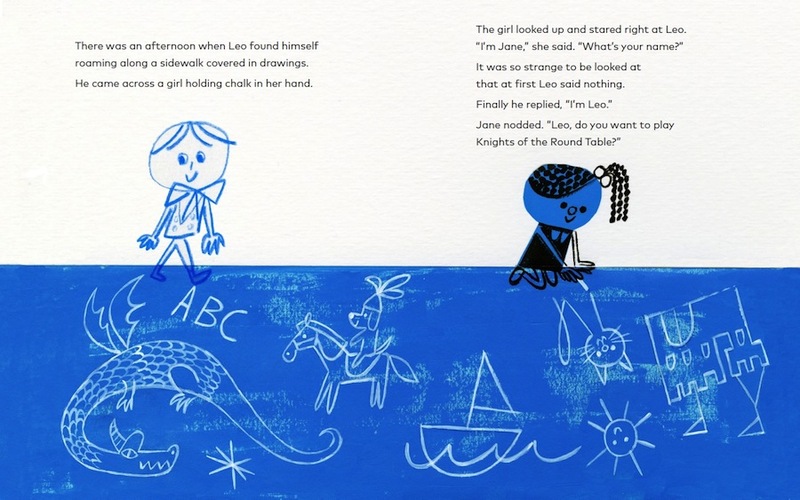 I can’t read this page where Leo gets knighted by Jane’s branch-sword without a tiny lump in my throat and a sting in my eyes. Leo, the ghost who not everyone can see, staring at the imagined crown on Jane’s head. Jane, who makes up a world and believes its reality. This is a sweet start to friendship. And the two of them play together. They imagine. They know. When Leo slays a real kind of beast, his ghost-ness doesn’t matter. His friend-ness does. 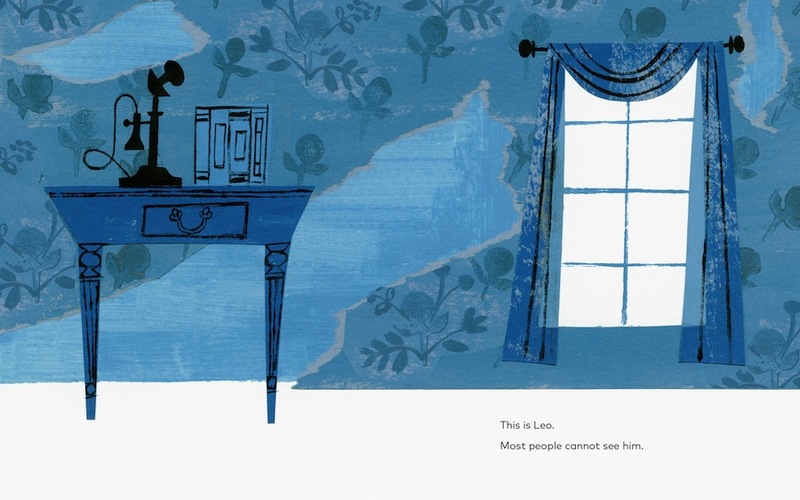 Christian Robinson’s art here is a sublime palette of blue. Blue for quiet and calm, for sadness and grief, for loyalty and trust. 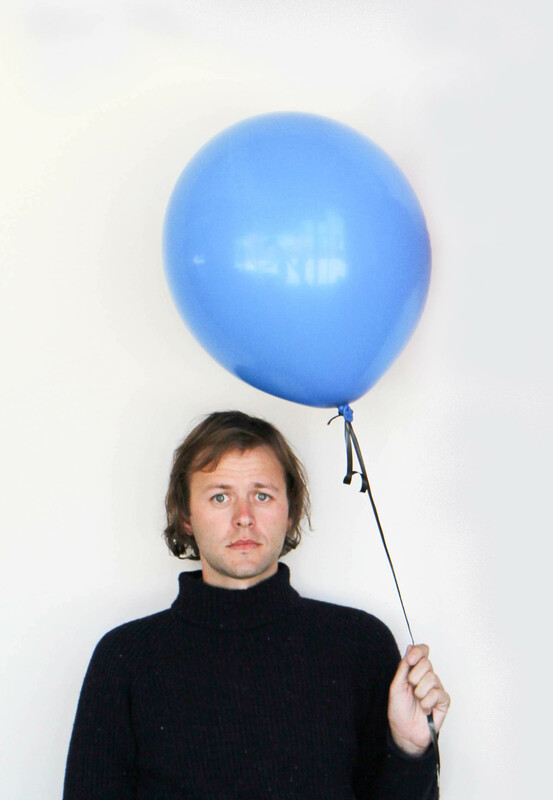 Blue for a new kind of dawn. 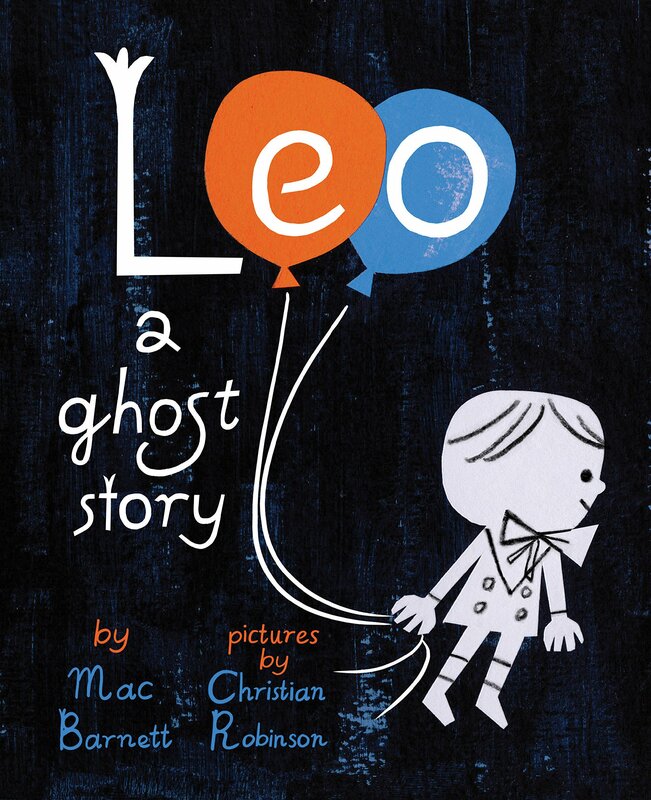 Be sure to check out our ALL THE WONDERS of Leo: a Ghost Story post for much more with Leo, including a popsicle stick puppet craft, an interview with Leo: a Ghost Story author Mac Barnett, and an interview with Christian Robinson, Leo’s illustrator. Purchase Leo: A Ghost Story for your reader or readers. 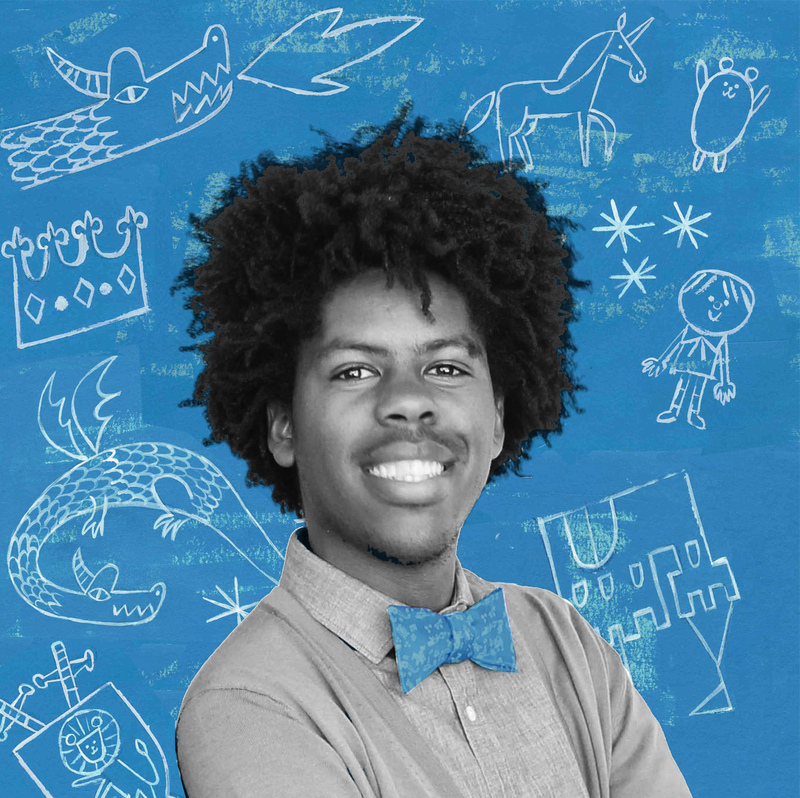 Carter is a librarian at an independent school in Los Angeles. She is the author of A Rambler Steals Home (HMH, 2016) and two forthcoming picture books from Chronicle Books. She is an Emmy-winning visual effects and motion graphics artist whose career has covered all the nooks and crannies of visual storytelling. She writes about picture books and graphic design at her blog, Design of the Picture Book, and you can find her on Twitter @carterhiggins.